Is your purchaser client entitled to an HST New Housing Rebate? Canada’s HST New Housing Rebate program, created under s. 254 of the Excise Tax Act, offers significant economic relief to qualifying purchasers of qualifying properties. However, the eligibility criteria are complicated, and have been strictly applied by courts. To avoid claims based on a client’s non-receipt of the rebate (or on having had it clawed back), a real estate lawyer must develop a thorough understanding of the rules. Only then will the lawyer be in a position to ask the questions that will establish whether or not the client is eligible for the rebate, and to appropriately manage the client’s expectations. The rebate is intended for purchasers of newly constructed (or significantly renovated) properties who buy the property to live in it. There is a two-year window in which to apply for the rebate, although in some cases, the vendor (often a builder) has the purchaser assign the rebate to it on closing in exchange for receiving credit for the rebate at that time. 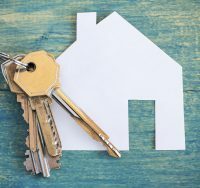 Problems can arise (and have the potential to lead to claims for a lawyer) where the individuals listed on the Agreement of Purchase and Sale are not the same individuals who take title to the property on closing. There are many reasons this could happen. For example, a person may be added to the title because he or she is providing funding for the purchaser, or because the mortgage lender requires it. Perhaps the original purchaser may want to add a family member to the registered title. If more than one purchaser is named in the Agreement of Purchase and Sale, the failure by everyone in the group (or a relation, as narrowly defined) to move into the property can be fatal to the refund claim. A change of heart about what to do with the purchased property (for example, should the purchaser opt to rent it to tenants instead of living there) can also render the purchaser ineligible for the HST New Housing Rebate. In some cases, purchasers have received credit for the rebate from the builder on closing, only to have it clawed back by the Canada Revenue Agency – a development that can understandably lead to an angry call to the lawyer. Alternatively, a builder who has credited a purchaser with the rebate on closing could make a claim based on relying on a lawyer’s incorrect opinion about a purchaser’s right to the rebate. Alan G. Silverstein prepared a detailed and comprehensive article about these rebates in connection with a presentation he made at the Law Society of Upper Canada’s 2015 Six Minute Real Estate Lawyer program. The article, titled “HST Rebates – And the cases just keep on coming” includes an overview of court decisions about rebate eligibility. It is suggested reading for all Canadian real estate lawyers.